Bike riding routes in and around the Shenandoah Valley. Riding and Running in and around Harrisonburg, VA.
Stop by the shop for details on our favorite ride of the month. Need a Demo/Rental Bike? We've got them - daily and weekly options available. Our area is known as a 'Mountain Bike Mecca' and for good reason! 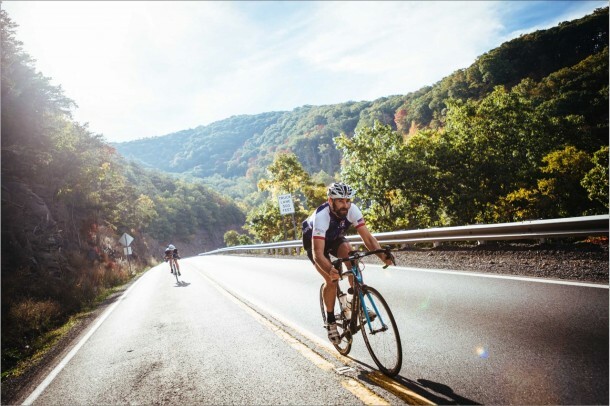 Country roads galore, make Harrisonburg/Rockingham County and the surrounding area the perfect place to ride your road bike. Harrisonburg City is working hard to create bike paths and multi-use trails. We are a bike friendly town and proud of it. Download the GPX files for some of our favorite routes!